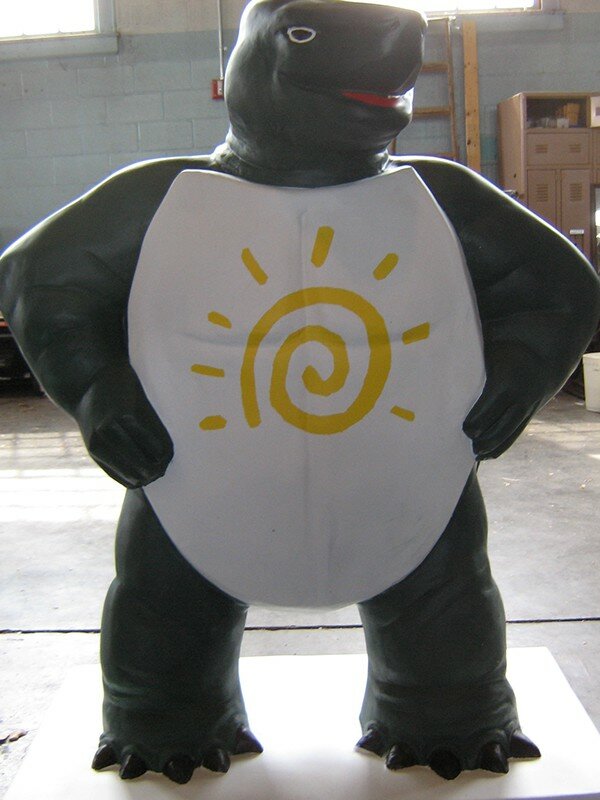 In September 2005, the University of Maryland, College Park announced that it would sponsor a public art display to be called the Fear the Turtle Sculpture Project. I entered the competition with a design to honor College Park Scholars by placing the Scholar's sun spot logo on his plastron and the University's globe seal on his carapace. On November 30, 2005, the University contacted me to announce my design had been selected and a sponsor found. 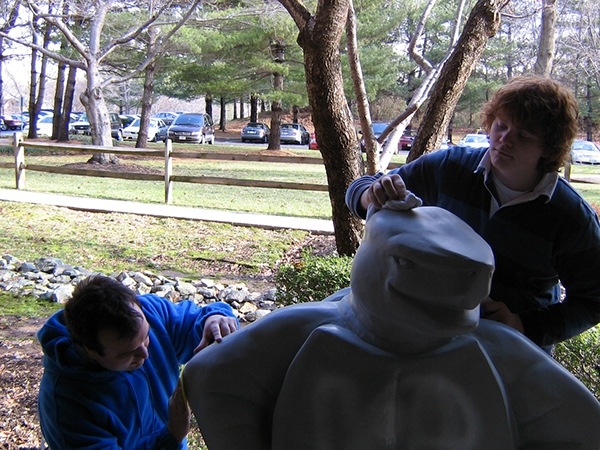 The turtle sculpture is four and a half feet tall, three and a half feet wide. 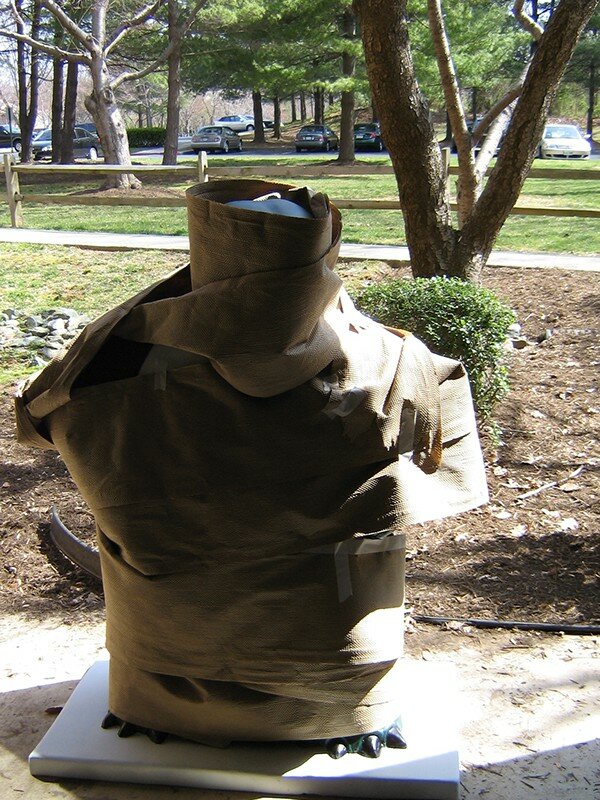 He is made of hollow cast resin and weighs approximately 100 pounds. 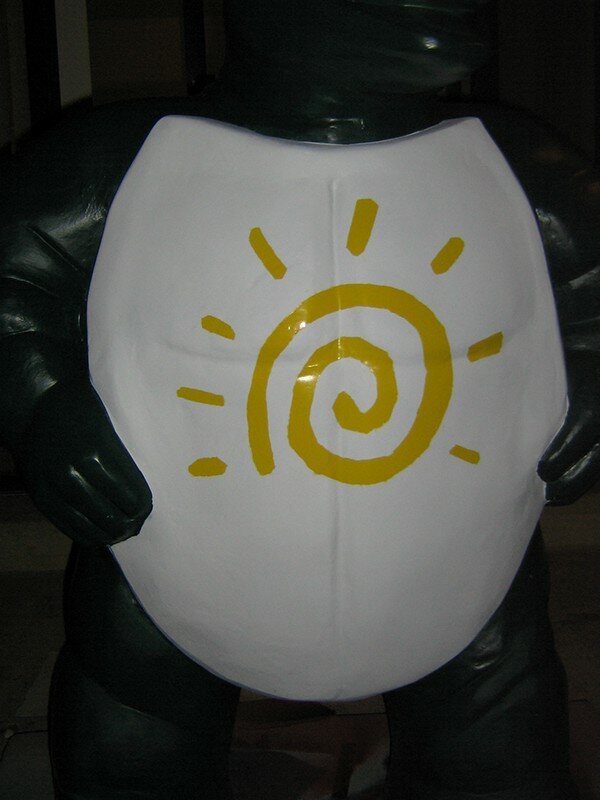 The turtle sculpture was painted primarily using common indoor/outdoor enamel spray paint. The toes, tongue, and eyes were painted by hand with enamel. The entire sculpture was then given several coats of spray-on enamel clear coating. The process took approximately three months. I want to thank Waldo and Jean Burnside for giving me this opportunity. They decided to sponsor my sculpture and their generosity has contributed to scholarships for the University and a display honoring Scholars. 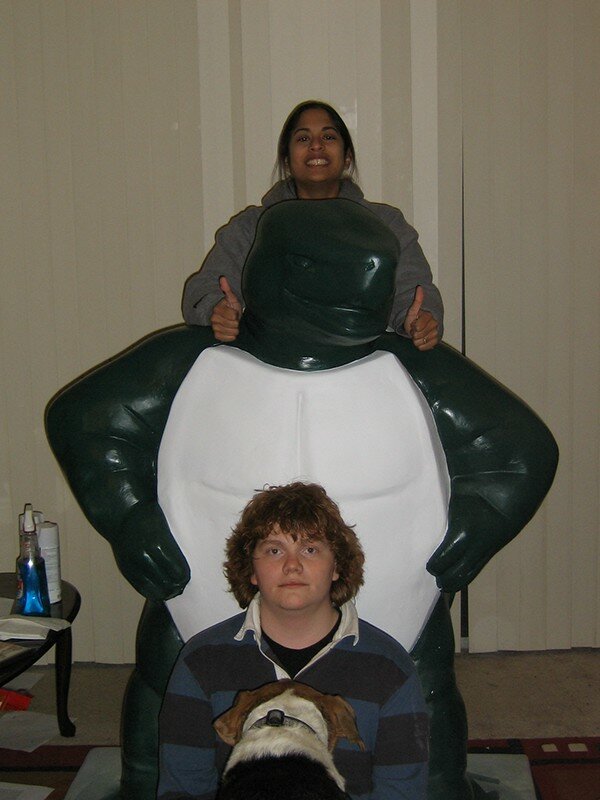 Also, I need to thank Nina Basu, Joseph Howard, Amit Arwindekar, and Aggie Dog for their work in painting, sanding, and taping the giant turtle. 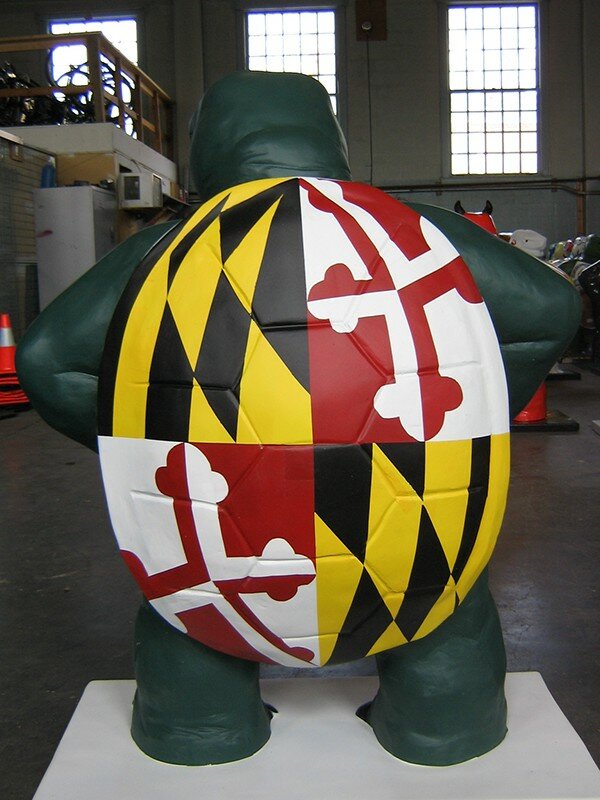 Terrapin Scholar was displayed at the Cambridge Community Center at the University of Maryland, College Park during the summer of 2006. Terrapin Scholar was returned to College Park on March 24, 2006. Below are pictures of him finalized. I taped the quadrants and Joe assisted. 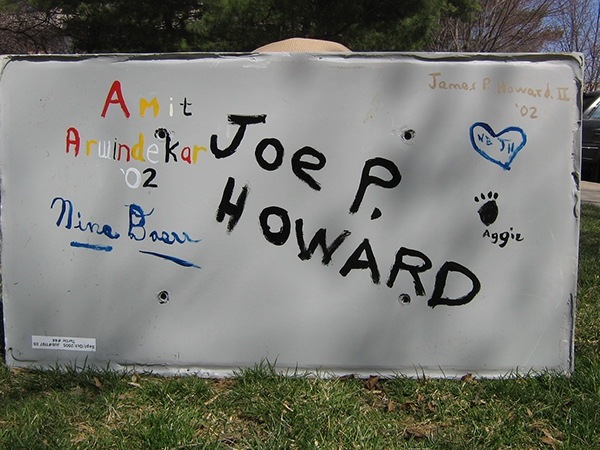 Joe handled most of the spray painting. It is also true that the turtle is nearly as tall as Nina. 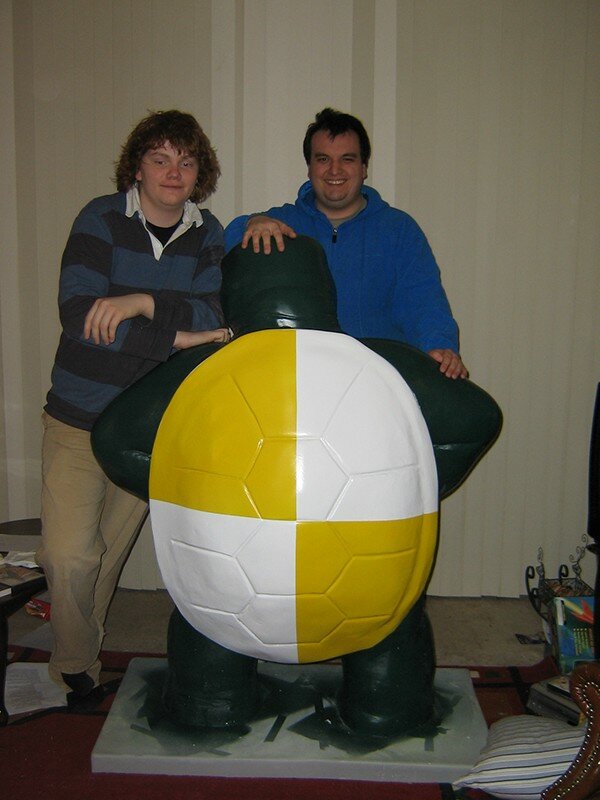 There were some rough spots on the turtle model, so we started by sanding those down. A few scratches from transportation were also removed. Nina is taking the pictures. What else would you have him wear?